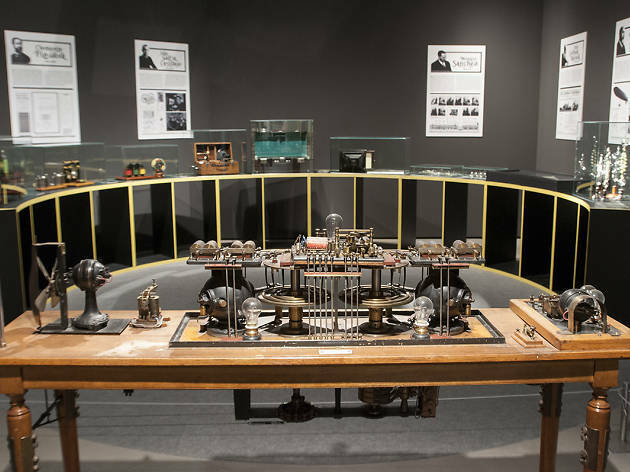 The boundaries between reality and fiction are blurred in the exhibition 'Nikola Tesla. His Is the Future', which pays homage to the visionary Serbian-American genius, true founder of modern technology and father of our electrical civilisation. Nikola Tesla (Smiljan, 1856 – New York, 1943) is 'the genius they stole the light from' because his work was overshadowed by other scientists like Edison and Marconi. Not only did he conceive of AC current and the radio, but he also pioneered such visionary technology for its time as robotics, vertical aircraft takeoff, remote-controlled weapons, energy-saving lamps, alternative energies and the wireless transmission of electricity. After many years of incomprehensible neglect, science and art have recently agreed to recognise Tesla as the true founder of modern technology. Today, Tesla has even become an icon of popular culture, making appearances in video games, comics, literature, films, songs, TV series and thousands of web pages in cross references in which reality and fiction become confused. 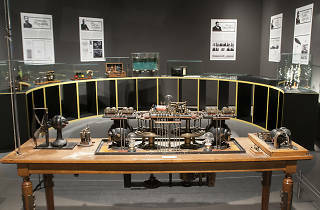 The exhibition offers a journey through the space and time inhabited by the scientist: from the Austro-Hungarian Empire to the New York of the first skyscrapers, from hotel rooms to laboratories, from fame to ruin, from genius to insanity, from loneliness to becoming a 'trending topic'. Lectures, guided tours and videos complete the programme of activities of this exhibition not to be missed.